The digital market is a vast land of exploration and opportunities. It is the catalyst which helps in developing and establishing a business, but sometimes this too can be quite complex. For most people who have no idea about the digital marketing segment often get troubled while choosing the right SEO services they should be looking for. As they browse across multiple companies who claim to provide best SEO services, they get confused. Companies often promise a lot with their services but what they do is a mystery to many people. Here, in this article, we will discuss and explain how an SEO Company works. How do we define an SEO Company? An SEO Company provides online marketing or better known as digital marketing services. They offer search engine optimization services which help websites or businesses to reach out widely. The SEO companies help businesses to rank better in the SERP or Search Engine Result Pages. The SERP ranking increases online visibility and makes the websites more attractive. There are some processes by which a site is developed to rank higher in the SERP. According to this, if your site is optimized correctly, then it will rank higher on the search engine’s first page. All this ranking depends on the phrases and the keywords used to highlight your website. These keywords must be relevant to your business offerings. Among the many benefits of hiring an SEO Company, one is that the company itself employs experts belonging to different fields of digital marketing. With the help of an expert team on board, you get the best opportunities to rank high. The experts make particular strategies, allot required services, develop your website, and implement tactics to attain marketing goals. The job of an SEO Company is to treat the client company or website as their own and develop it accordingly. The entire digital marketing work must be done by them which include maximizing investment returns, meet business goals, SEO services provided according to the needs of the website, and more. 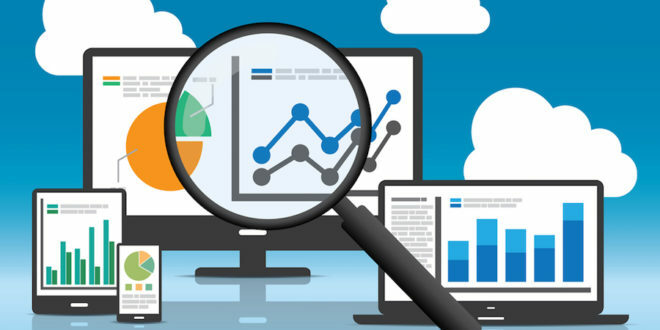 Analytics: The Company must check the existing analytics which will help in tracking the leads and sales of the company. It monitors the source of sales and helps in delivering more meaningful results. HTTPS or HTTP: The ‘S’ after HTTP states that SSL secures the website. Regarding SEO marketing, the SSL certificate is essential. Even if your website does not include online payment facilities, the SSL certification is a vital part of SEO. Search engines like Google give preference to sites with SSL certification. Website Errors: This is a widespread and equally harmful problem for your website. A website with errors sends signals to the search engine directly. These signals are warnings to the search engine that the website can be fake, not trustworthy which leads to removal of the site from the SERP ranking. The standard errors are blocked crawlers, duplicate page content, 404 errors, missing or duplicate title tags, etc. Sitemap: The sitemap is an essential element for SEO. With the help of an XML sitemap, the search engine indexes a list of pages on the website. Index status: The index status is the traffic gained by the site by the index page shown in the search results. Search crawlers monitor the index pages. These pages contain enough quality content for search phrases. Meta elements: Meta elements are the content posted in the site, title tags, Meta description, etc. It is imperative to guarantee that all the Meta elements are optimized so that the site ranks higher in SERP. Load speeds: Speed is an essential factor when browsing over the search engines. Most users are impatient, and this leads to the sites having speedy access. Websites who have good speed ranked higher in the SERP. Content is an essential part of the website. Content helps in building an audience and drawing traffic for your website. It is also the source which converts visitors to potential leads. When working with a good SEO Company, they will analyze the keywords and search for possibilities which will help you rank higher in the SERP. The factors of off-page SEO analysis leads to a huge success for most websites. These factors are industry blogs, online directories, review sites, etc. Online popularity helps a lot in getting excellent reviews and promoting the website. This theory often doesn’t work for small businesses, and they end up getting negative reviews. To solve this issue, SEO Companies need to work hard on the promotion of the website in a positive way. Even though it is a part of the SEO services provided by the company, one must pay close attention to the promotion of the website. The goal of developing a website with the help of SEO Company is to give it an attractive and reputable online appearance. These three are just the basics and are followed by more strategies like social media pressure, email marketing, and website content optimization, and more. Make sure you turn to the best in town to render the services you deserve!